It’s Monday, and I am watching the Yankees get beat up in the make-up game against the Orioles. I have to see what happens tonight in the regularly-scheduled game. This is the time to play catch-up in wins. Playing Catch-up, that is the point of this email. Unless you have been living in a cave, you should know that Congress passed the first massive tax code changes since 1986 and it is called the Tax Cuts and Jobs Act of 2017. I am not sure who is getting the tax cuts, except corporations who saw their tax rates go from 39% down to 21%. I also continue to wonder who is getting new jobs, but that is for another discussion on another day. These emails are not meant to be politically oriented as I do not believe in political parties, so why discuss what each one wants? Anyway, the massive changes can have an adverse effect on many taxpayers, good or bad. 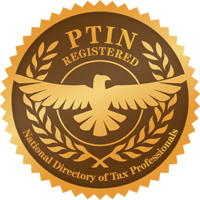 It will change the way you file returns no matter what your income tax bracket is… from changes in those brackets to higher standard deductions (with so many that may not itemize), as well as no more exemptions, higher child tax credits and who qualifies, and the 20% Pass-Through Business deduction, just to name five things. If you read the papers, the IRS released the new “shorter, simpler” form. What you may not have read between the lines, although the IRS eliminated many lines, its that they added many more schedules that have to be filed with the return. This is what is called tax simplification, HA! If it was so much simpler, why are we tax professionals, including yours truly, taking dozens of hours of additional continuing education on this very topic? In fact, I am teaching this to other tax pros. On top of that, we are expecting a whole new set of rules and regulations to be issued around the 15th of this month (time for more classes). Lastly, the IRS issued revised the W-4 form that should change your federal income tax withholdings to be more in line with what the rates and new laws say. If you remember, your net check went up some to compensate for the new tax brackets this past February. However, it did not take into account anything else. I am now spending a lot of my time in the office (besides preparing extended returns and helping clients get out of tax trouble), developing a 2018 analysis of my clients’ tax situations. Most show less of a refund than expected or will owe more than expected. What will your tax situation be? It is time that you get in touch with me, or your own tax pro, to perform some kind of mid-year tax return. This way you are not surprised by what your tax return will show. And though it is inevitable that you will get mad at the messenger, it is indeed your responsibility to take care of this before it’s too late. But you know the old saying? You can lead a horse to water……. By the way, Ali and I will be on a MUCH needed vacation starting the 14th for a full week. Diana and Carol will be here to answer whatever questions you may have as I will have very limited email. This will be my first vacation in almost 20 years that I will not be dealing with office stuff. On July 23, we will welcome our new office manager, but more on that introduction when we return from our cruise.